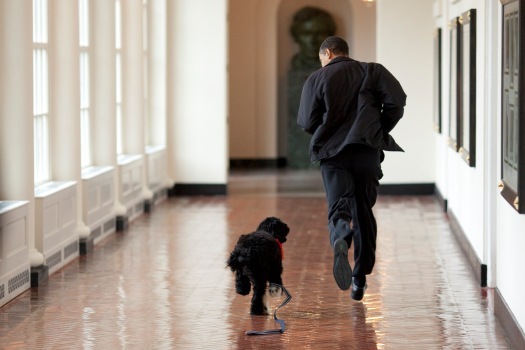 President Barack Obama and his family welcomed their new dog Bo to the White House and showed him off around the grounds. 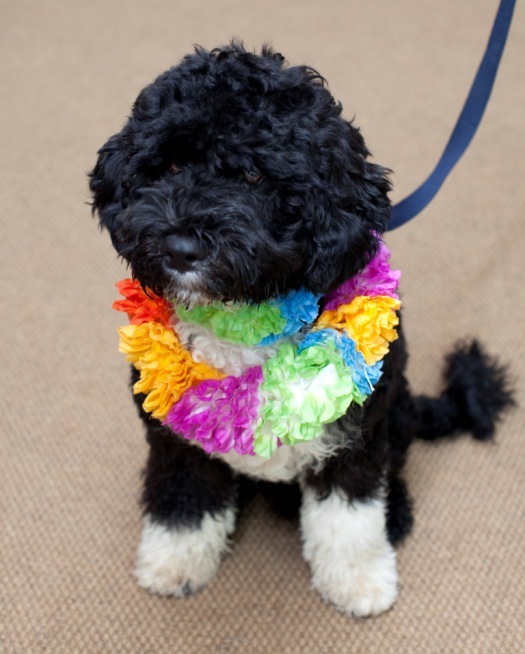 The 6-month-old Portuguese water dog made his debut in front of reporters and photographers. And the Obamas even walked him over near the fence on the White House South Lawn. Said the president: "He's got star quality." 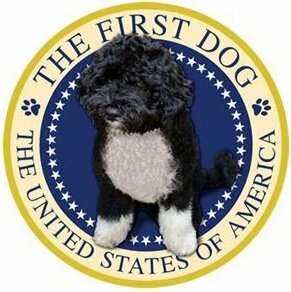 Although Bo will be granted entry into the Oval Office, the president said the pooch won't be sharing his bed, adding that he and the family want to be "responsible dog owners." 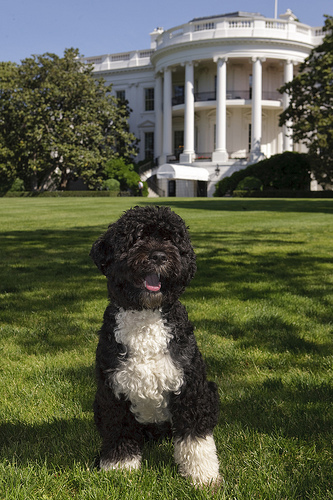 "The only concern we have is apparently Portuguese water dogs like tomatoes — Michelle's garden is in danger," President Obama joked. A few minutes later, seven-year-old Sasha piped up, telling the assembled reporters "He doesn't know how to swim." The president explained that the breed apparently had to be taught to swim. 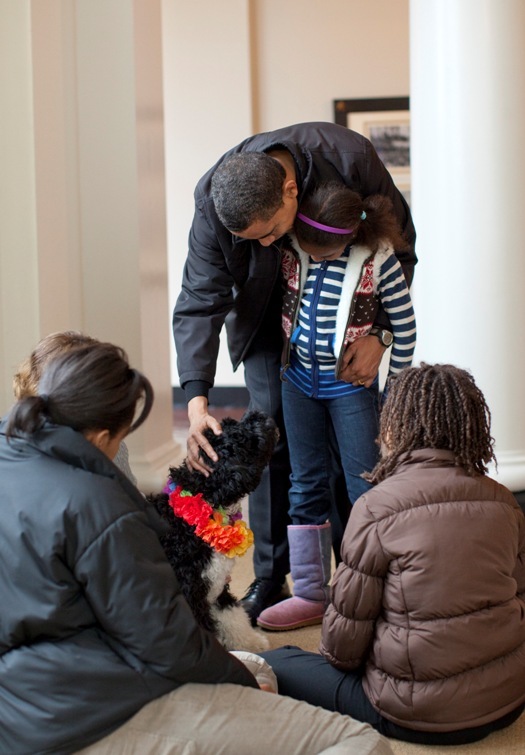 The arrival of the pup fulfills Obama's promise during the presidential campaign to get his two daughters a puppy. "We're very pleased with Bo," he said. 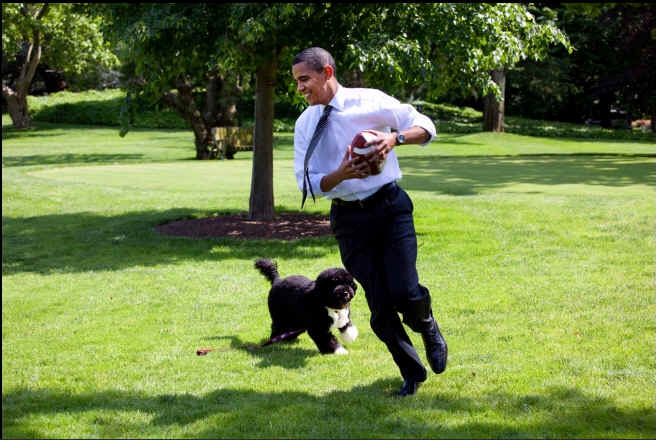 A dog's life The White House will be the puppy's fourth home in his six months of life. He was born in Texas, then moved to his first owner's home in Washington, D.C., then spent nearly a month with Sen. Edward Kennedy's dog trainer in Virginia, and now is moving to 1600 Pennsylvania Avenue.